The Directors Guild of America (DGA) announced the five nominees for the DGA Award for Outstanding Directorial Achievement in Feature Film for 2018. Once again, no women have been nominated. I cannot stress this enough. While Greta Gerwig was nominated for Lady Bird last year, you’d have to go back to Kathryn Bigelow’s nomination for Zero Dark Thirty (2012). Before this, the most recent nomination had been Sofia Coppola for Lost in Translation (2003). This comes in a year in which there have been some very strong contenders. Unfortunately, it’s just not enough to make it into the pantheon of DGA nominations or quite possibly an Oscar nomination. Critics of Bohemian Rhapsody‘s absence should be pleased because it’s hard to win Best Picture without a DGA nomination or win. Once thought to be among the front runners, what does today mean for Black Panther director Ryan Coogler? Similarly, The Favourite‘s Yorgos Lanthimos and If Beale Street Could Talk‘s Barry Jenkins were also snubbed by today’s announcement. Other directors are also among the snubs. It doesn’t mean that it’s the run of the run for their chances but the DGA award is one of the strongest prognosticators by far. Since the first award in 1949, their winner has gone on to repeat at the Oscars all but seven times. It is possible to still win Best Picture without winning Best Director. This has happened sixteen times in Oscar history where the DGA winner did not direct the Oscar winner for Best Picture. Most recently, this occurred when Damien Chazelle was both the DGA and Oscar for La La Land but Moonlight won Best Picture. Prior to this, Spotlight won Best Picture while Alejandro G. Iñárritu won Best Director for The Revenant. Time is running out on the directors who were once perceived to be a front runner or a major threat. Oscar nomination voting ends on January 14, 2019. The 71st Annual DGA Awards on Saturday, February 2, 2019 at the Hollywood and Highland Center’s Ray Dolby Ballroom in Hollywood. 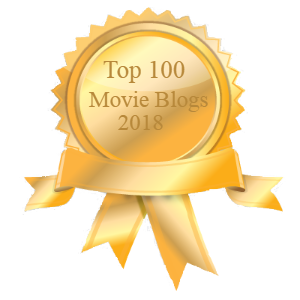 The post DGA Nominations and Snubs appeared first on Solzy at the Movies.